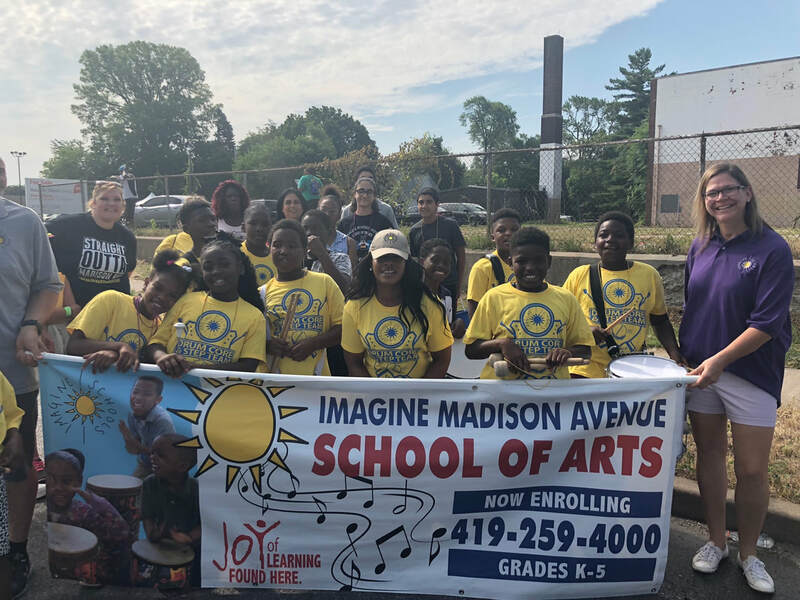 Imagine Madison Avenue School of the Arts, in partnership with our families and the community, will assure that all children learn at high levels. Students will be prepared academically, artistically, and emotionally for their future life endeavors. WELCOME BACK IMAGINE MADISON STUDENTS AND STAFF! 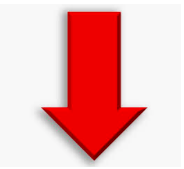 SCHOOL RESUMES TUESDAY - 4-23-19! Thanks to everyone that voted for us! RECEIVE A $100 WALMART GIFT CARD IF YOU REFER A NEW STUDENT! Congratulations to our 2018-19 Teacher of The Year Mrs. Cammalleri-Louy! WE ARE SO PROUD OF YOU! GIRLS ON THE RUN 5K EVENT- WAY TO GO LADIES!!!!!!! We had a blast at the African American Parade! Please click on the grade level below for printable activities for your scholar to complete during Spring Break! 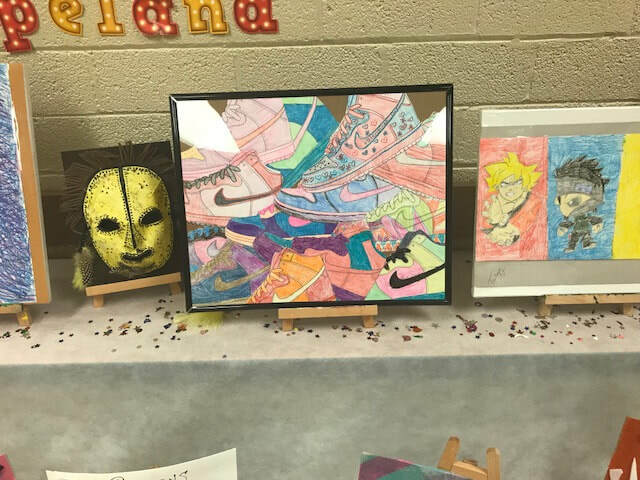 Check out the creativity of our students! 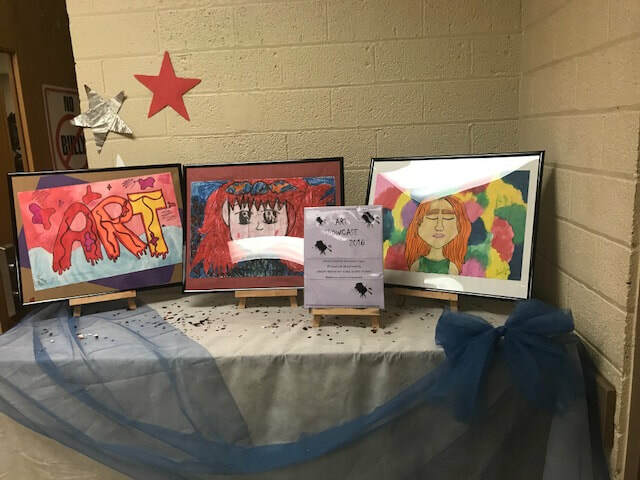 We are very proud of our talented students at Imagine Madison Ave. School of Arts! We appreciate our Staff at Imagine Madison Ave. School of Arts! The world is a better place because of your hard work and dedication! 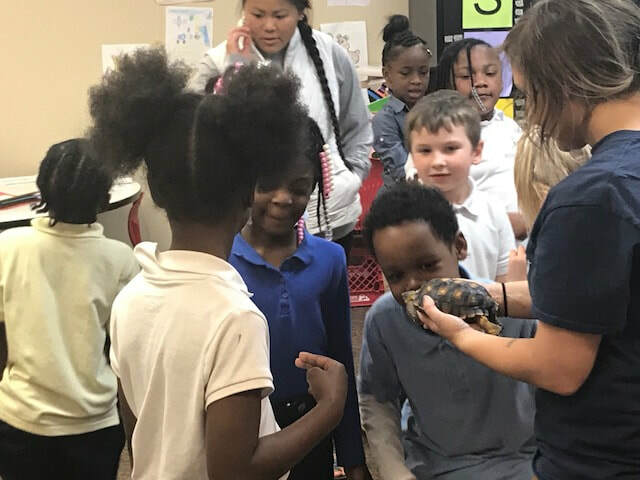 Thank you, Toledo Zoo, for visiting Imagine Madison Ave. School of Arts! 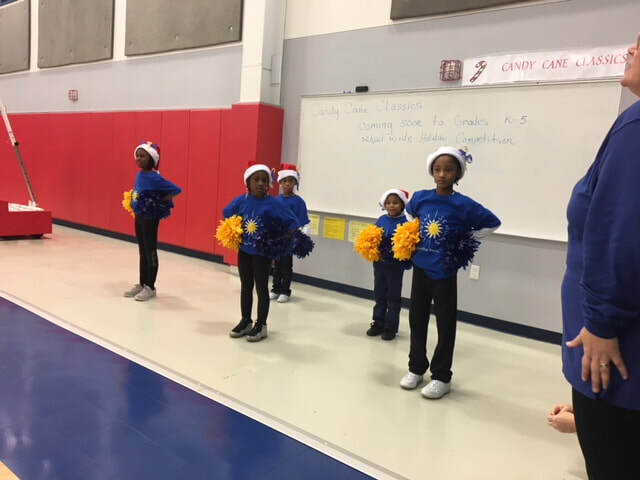 Imagine Madison Student Drum Corp, STEP Team, Baton Team, Flag Corp, and Cheerleading Team representing at the Annual Toledo Blade Holiday Parade! Imagine Madison Student Choir Invited to sing the National Anthem at Relay for Life Event! 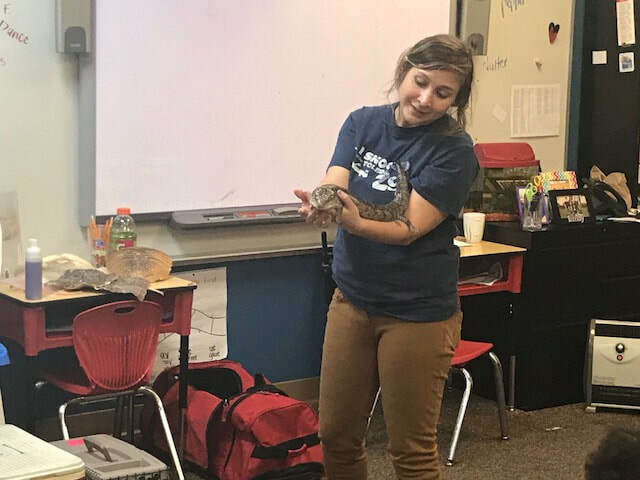 Thank You Toledo Zoo for visiting Imagine Madison School of Arts! Do you need to cool off in this hot weather? 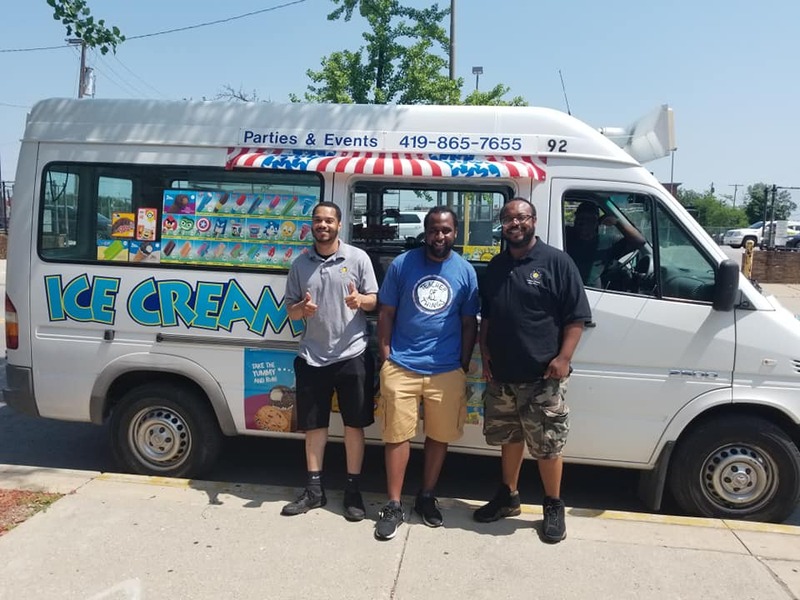 Look out for the Imagine Ice Cream Truck that will be coming to a neighborhood near you filled with yummy free treats! The students at Imagine Madison Ave. School of Arts, really enjoy using their own personal chrome books to complete assignments! We enjoyed student led conferences as our students presented their achievment data to their families! Daily Small group intervention time as we target the individual needs of our students! 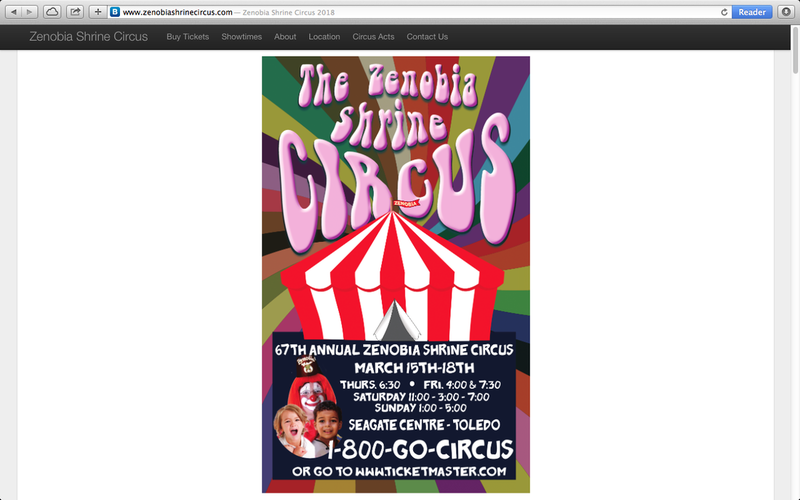 Congratulations to our 5th grade student Nevaeh for winning the contest to design the poster for the Zenobia Shrine Circus! We are so proud of your design! 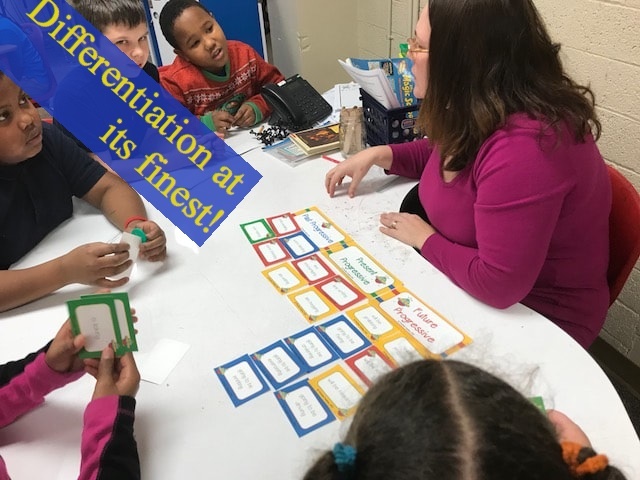 At Imagine Madison, our students are smart enough to re-teach the Lattice Multiplication strategy to their classmates! We are proud to announce Michael B. as our 2018 Spelling Bee Champ! Good Luck in the City-Wide Spelling Bee Michael! Imagine Madison Ave. School of Arts was represented at the annual Toledo Blade Holiday Parade! We would like to thank our sponsors! 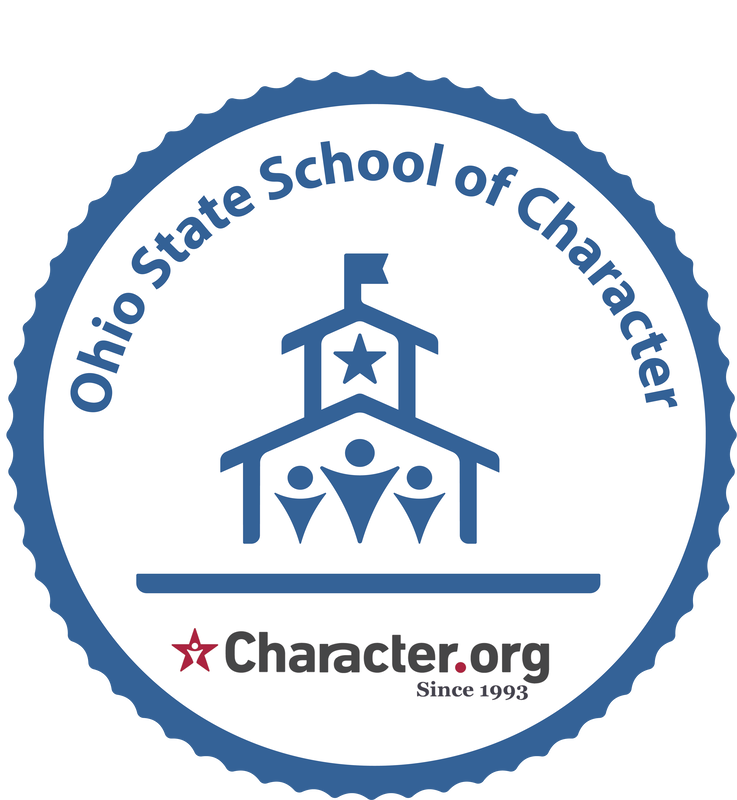 We are so excited to be NATIONAL AWARD WINNERS for School of the Year, Shared Values, and Character Development! 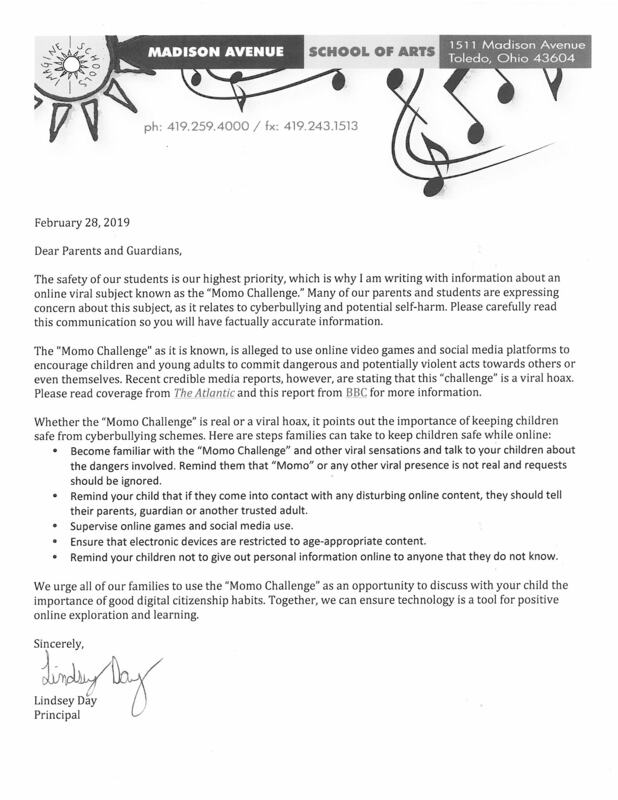 CONGRATS Imagine Madison Scholars and Staff! ​Student Choir singing National Anthem! Student choir singing the National Anthem at the Toledo Walleye game! 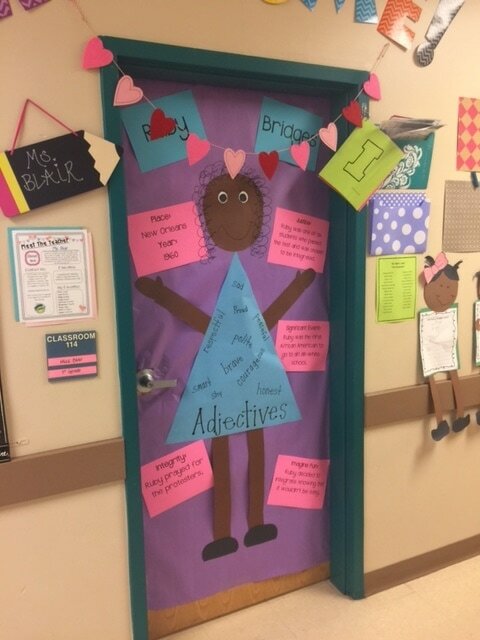 One of many African American History student posters for the annual door decorating contest! We had a great time at the African American Parade with our community! 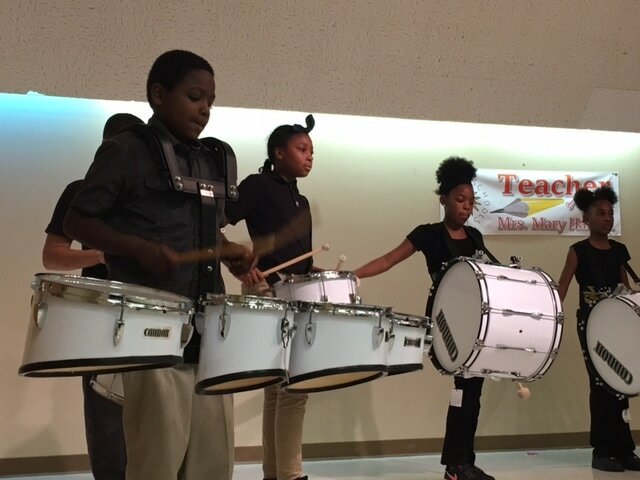 Our Step Team and our Drum Corp were amazing during their performances! We enjoyed marching in the Old West End Parade performing for our community! Smells like Imagine Madison Spirit! Imagine cheer squad encouraging our B. 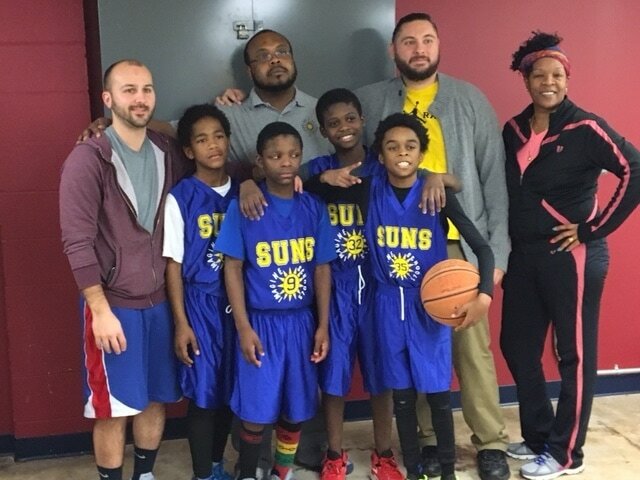 Ball Team! 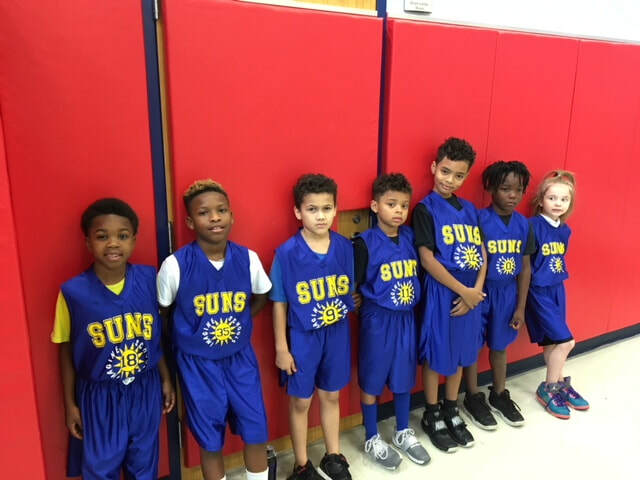 Wow, look at our Imagine SUNS shinning bright during our Black History Celebration! Student Choir singing the National Anthem at the Toledo Mud Hens Game! 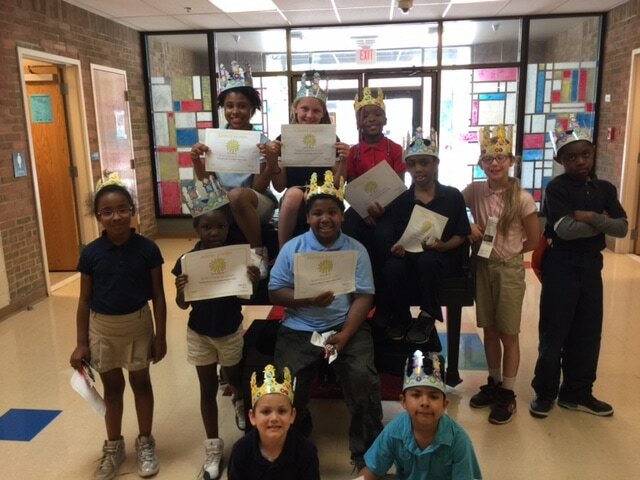 Look at our AWESOME Royal Character Court for 1st Quarter! 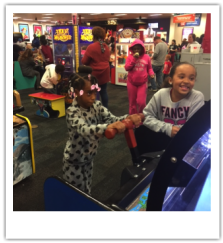 These students have demonstrated awesome character and serve as role models to other students at Imagine Madison! 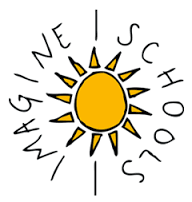 WHAT THEY ARE SAYING ABOUT IMAGINE MADISON AVE. SCHOOL OF ARTS! Check out our amazing Cheerleaders as they take home 3rd place in a local cheer competition! Congratulations Michael! You made the Toledo Blade as a Top Speller! We are so proud of our scholars at Imagine Madison Ave. School of Arts!